This dessert is the best when you've got friends over & want to offer them something that's a bit more exciting than just plain shop bought ice cream, but you don't have time to get in the kitchen creating a culinary masterpiece. So easy, so delicious & the perfect end to a meal. 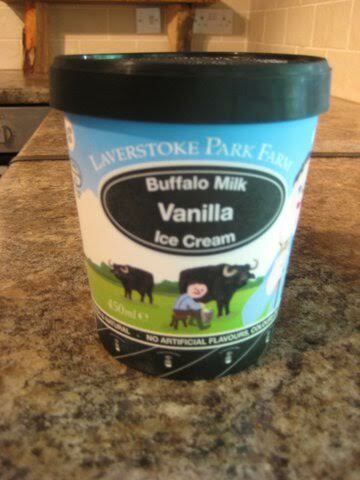 The ice cream I used is Buffalo icecream from www.laverstoke.co.uk This is my new exciting food find - I got some on www.ocado.com this week because it was on offer - & found that Buffalo products are much easier on my digestion than dairy from cows, sheep or goats. But you can use any ice cream you like - there are tons of amazing vegan products on the market too. 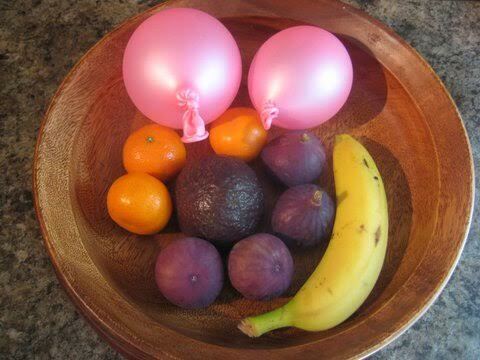 Ok, so firstly blow up the balloons - just a little bit so they just about inflated - this pic should give you a rough guide of how big I made mine. 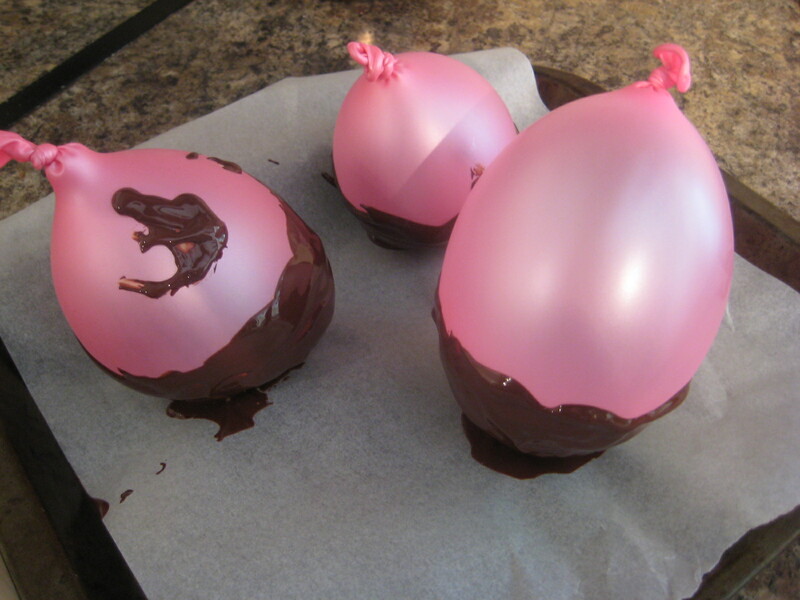 2 Melt the chocolate. You may have your own way of doing it, but here's what I did. 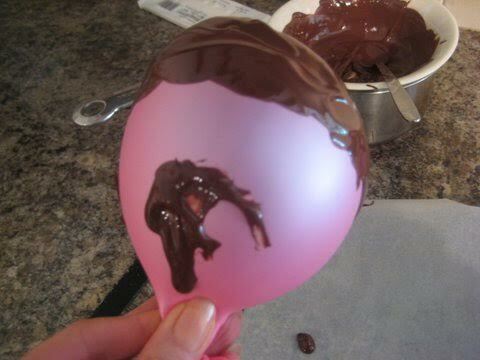 Put the chocolate in a heat proof bowl over a saucepan of water that is simmering away (gently bubbling) and wait for the chocolate to completely melt. I am so messy!......... they could be neater - I do know this - I'm sure yours will be far more beautiful ! then place into the fridge to set. when the chocolate has hardened up, pop the balloons, and remove them - then you have your chocolate containers. Leave them in the fridge until you're ready to serve dessert. Make up a large cup of black coffee. Flavoured, Decaff, instant.......... up to you. 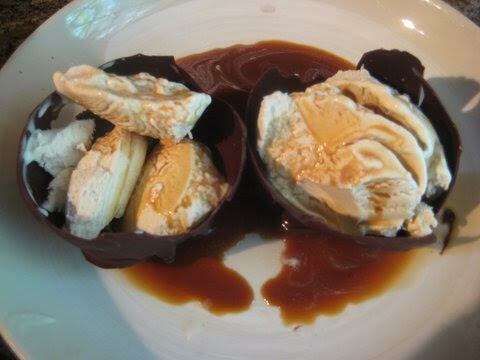 pour the coffee over the ice cream......... 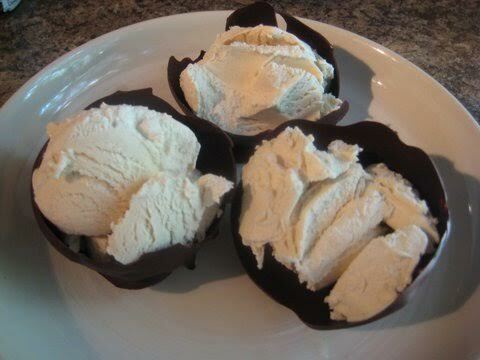 The ice cream and chocolate will start to melt and you get a bowl of complete heaven! ............... This one bears an uncanny resemblance to my brother - I'm serious! Oddly you're right, but you obviously idolise me a touch: I'm not so sweet looking.